It could be said that 1970 was a tumultuous year: the Apollo 13 accident, President Richard Nixon’s invasion of Cambodia, and Paul McCartney’s announcement that the Beatles had officially disbanded. On the other hand, the Treaty on the Non-Proliferation of Nuclear Weapons was put into effect, Boeing had just introduced the world to the 747 Jumbo Jet, and William Zane Johnson founded Audio Research Corporation (ARC) -- the same month Aerosmith was born. Johnson had begun building amplifiers in the late 1940s. His first commercial amplifier, released in 1949, was an all-triode, transformer-coupled, three-box design that included a standalone power supply. In 1951, Johnson started his first company, Electronic Industries, located in the rear half of a retail space that served as both factory and test lab. Johnson bought the retail space in the early 1960s to market his products, and continued to build a formidable customer base until 1968, when Peploe Inc., a large marketing company, bought Electronic Industries, Johnson’s patent applications, and his technical files. Peploe retained Johnson as an employee, but two years later he quit, bought back his patents, moved operations to a much larger facility, and founded Audio Research Corporation. 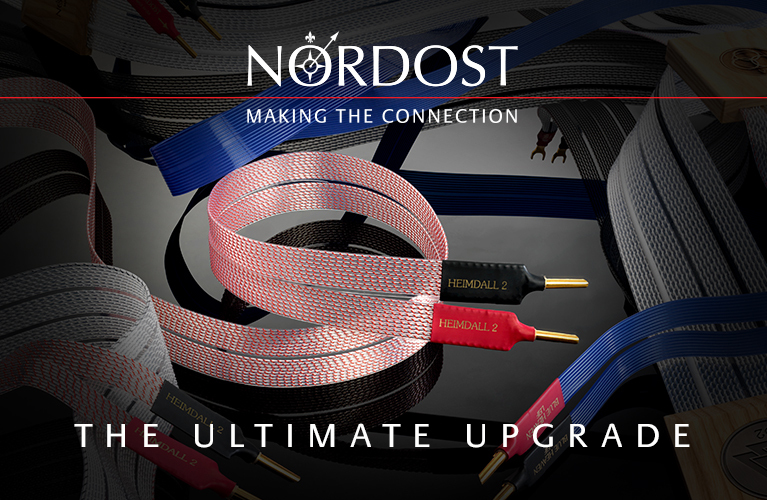 Since then, ARC has continued to grow in size and in reputation, and is now one of the cornerstones of high-end audio. 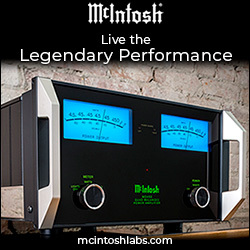 In 2008, ARC was purchased by Quadrivio SGR, an Italian private-equity firm that in 2009 became the Fine Sounds Group, and in 2016 was renamed the McIntosh Group, comprising ARC, McIntosh Laboratory, Pryma, Sumiko, and Wadia. William Zane Johnson died on December 10, 2011, at the age of 85. But 16 years before, in 1995, ARC had released its Reference series, which currently comprises the Reference 6 preamplifier ($15,000 USD), the Reference Phono 3 phono stage ($15,000), the Reference 75 SE ($11,000) and Reference 150 SE ($15,000) stereo power amplifiers, and three monoblock amplifiers: the Reference 250 SE ($38,000/pair), Reference 750 SE ($70,000/pair), and the subject of this review, the Reference 160M ($30,000/pair). 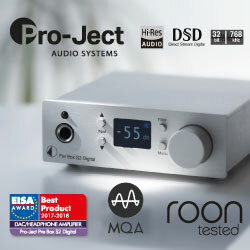 As a reviewer and devotee of excellent high-end componentry, I commend ARC for consistently producing audio products that offer superb levels of build and sound quality. But I’ve never really warmed to their laboratory-style visual aesthetic. In today’s market, where five-figure MSRPs for amplifiers, preamplifiers, speakers, and most any other high-end components have become the norm, well-constructed casework and sound electrical design simply aren’t enough. It seems there has to be a wow factor, a visual stimulus compelling enough to prompt someone to listen to the thing. 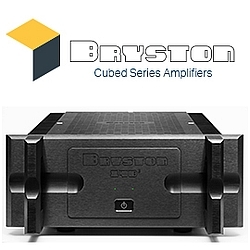 In 2014, when ARC released their GS series, I recall laying eyes on the GS preamplifier and thinking, “Now that’s an improvement!” ARC’s familiar, longstanding visual design had been refreshingly modernized, the vision of a man I consider the audio industry’s equivalent of auto designer Chip Foose. 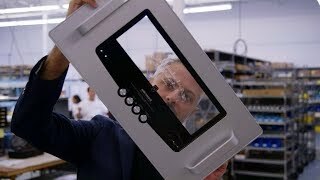 Livio Cucuzza, Chief Design Officer for the McIntosh Group, is also responsible for having styled ARC’s entire Foundation series, the Reference 6 preamplifier (review forthcoming), the Reference Phono 3 phono stage, as well as the Reference 160M and its forthcoming stereo version, the Reference 160S, which is due out in 2019 Q2 (price TBA). The two Reference 160Ms arrived on a shipping pallet. Each amp, measuring 19”W x 10”H x 18.5”D and weighing 52 pounds, occupied a heavy cardboard box, and was surrounded by molded-foam inserts and surmounted by a cardboard top shelf containing an inner box for the tubes and assembly tools. 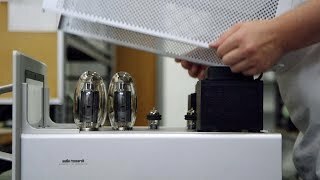 Assembling a Reference 160M is a three-step affair: Install the four KT150 output tubes and the two 6H30 driver tubes, each labeled with the number of the socket it’s to be inserted in. That done, the next step is to lower into place the tube cage, on the rear of which is cunningly mounted a two-speed cooling fan that plugs into a dedicated 12V socket located at the rear of the amp’s tube deck. 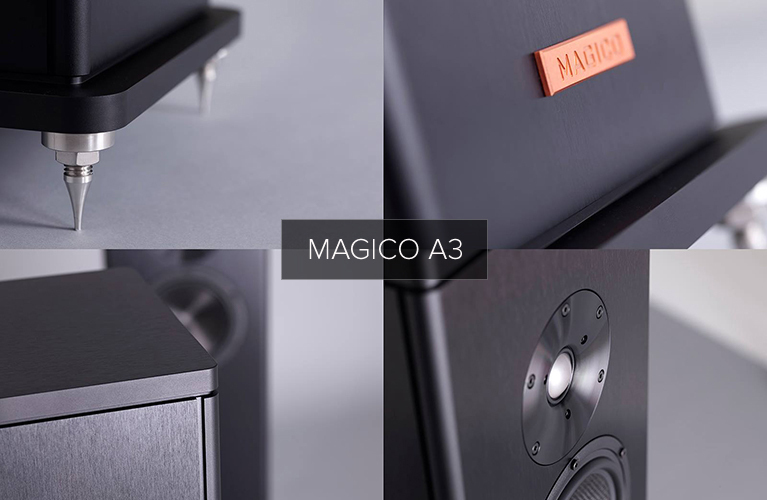 The final step is to connect both monoblocks to your system. Installing the tubes and their cage, I couldn’t help but appreciate the Reference 160M’s rounded edges, precision aluminum casework, that curved and perforated cage, and the attractively styled aluminum faceplate, the last replete with a window that enables its owner to gaze at the staggered quartet of glowing KT150 output tubes within. This window is perhaps the most trick part of the Reference 160M: It’s actually two panes of acrylic that sandwich a large needle and two hidden LEDs, with a wattmeter dial etched into the rear pane. The surface surrounding the window is brushed aluminum, with a gloss-black lower panel shaped to offset the clear window above it. ARC’s usual rack handles are at either side, now reshaped with a more physically comfortable, triangular rear section, and the brushstrokes of their finish now match that of the faceplate in both texture and direction. On the black panel is a tight row of four buttons labeled, from left to right: Power, Meter Light, Tube Monitor, and Ultralinear/Triode. The Power button toggles between On and Off -- no standby mode here -- and Meter Light has four levels of illumination: Off, Low, Medium, High. Tube Monitor performs a status check on each of the four KT150 output tubes, with corresponding color-coded indicators subtly hidden in the lower left and right extremities of the black surround. Ultralinear/Triode makes possible on-the-fly toggling between Ultralinear and Triode modes, which respectively provide 140W or 70W of power, regardless of which speaker tap is used: 4, 8, or 16 ohms. The mode selected is indicated by a subtle change in color, from green (Ultralinear) to aqua (Triode). That was my first niggle with the Reference 160M: at a glance, the two colors are too similar to be easily distinguished. The Reference 160M’s rear panel is well laid out. At the center are the balanced (XLR) and single-ended (RCA) input jacks, and at lower right are gold-over-brass taps for common negative and speakers with impedances of 4, 8, or 16 ohms, an RS-232 connector for an integrated control system, and 12V in/out trigger inputs. To the left of the inputs are three toggle switches: Balanced/Single-Ended, Fan Speed High/Low, and Shut Off Auto/Defeat. Thoughtfully included directly below these are a tiny display indicating the elapsed tube Hours, and a button for resetting that counter -- which, thanks to ARC’s move from KT120 to KT150 tubes, should now need to be pressed every 3000 hours instead of every 2000. At the extreme left of the rear panel are a 20A IEC inlet and a bay for a 5A, slo-blo fuse. This triggered my second niggle with the Reference 160M: It doesn’t need or benefit from being connected to a 20A outlet, nor does it come with a 20A power cord. Instead, ARC includes a 15A cord terminated with a 20A connector. When I asked Dave Gordon, ARC’s Brand Ambassador, what gives, he told me that ARC uses a heavy 15A cord with a (C19) 20A IEC connector because it fits very snugly and sounds better than the usual (C15) IEC connector. I can confirm the snugness of the fit, and that the stock power cords sounded almost identical to the Clarus Crimson 15A cord with Pangea adapter I replaced them with. The Reference 160M’s circuit design first hit the drawing board in late 2016, under the direction of Ward Fiebiger. After his death, most of the layout, power supply, power transformer, design of the four-layer board, and the Reference 160M’s performance became the responsibility of three ARC engineers. The Reference 160M is a fully balanced design. Incoming signals are amplified using a hybrid (FETs and tubes) balanced driver stage, a cathode-follower driver, and a class-A/B, push-pull output stage. Aside from switchable Ultralinear/Triode operation and that trick wattmeter, the Reference 160M is the first ARC amplifier to offer a new output-tube monitoring and protection system and proprietary auto-biasing. 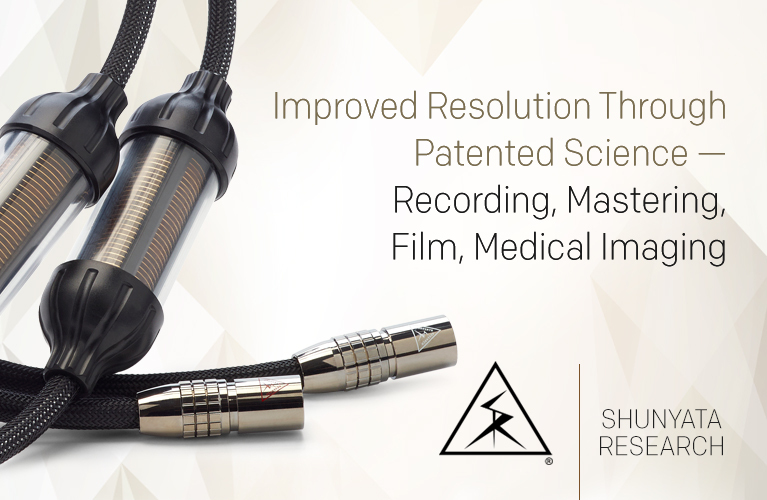 The latter not only compensates for the deterioration of the tubes’ performance over time, it also permits the use of pentode tubes other than the supplied KT150s (chosen by ARC for their superior sound quality). 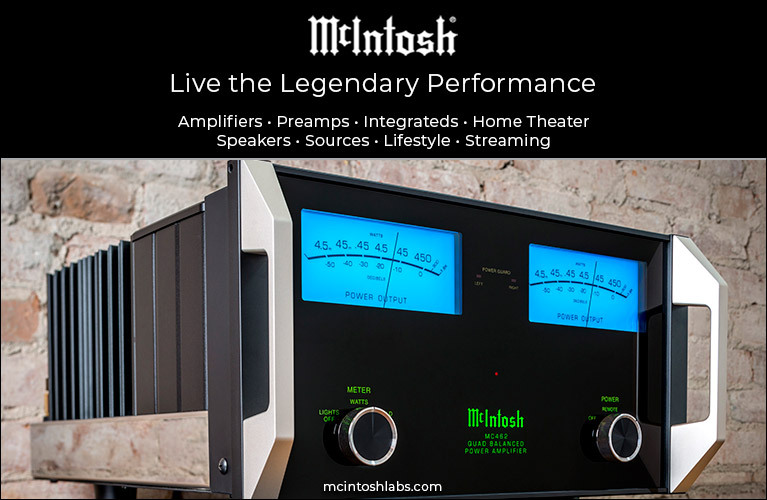 The 160M is the first Reference-series amp to provide single-ended inputs. ARC claims that the 160M is the quietest tube amp they’ve ever made, producing a signal/noise ratio of 113dB at 1W into 8 ohms, A-weighted. Its specified total harmonic distortion is also quite low: 0.04% at 1W, or 1% at 140W. Those impressive figures are due in part to an all-new, four-layer circuit board designed specifically for the Reference 160M. This plated-through board, which ARC claims is much quieter than their previous two-layer boards, is assembled by hand using a special solder. When I requested specifics about this solder and the wiring, Dave Gordon was pretty tightlipped, but did mention that the two types of signal conductors used are custom-designed copper litz and pure copper Ohno continuous cast (PCOCC) wire, and that most of the reduction in noise is the result of new ground planes and reduced wired connections. The Reference 160M also benefits from: an all-new, high-capacity, wide-bandwidth (0.5Hz-110kHz) E-core transformer; new, custom-designed coupling capacitors; new power-supply capacitors capable of storing some 622 joules of energy; and new solid-state power-regulation circuits. ARC measures, grades, and matches all FETs used, and carefully matches tubes to ensure the optimal performance of each Reference 160M. 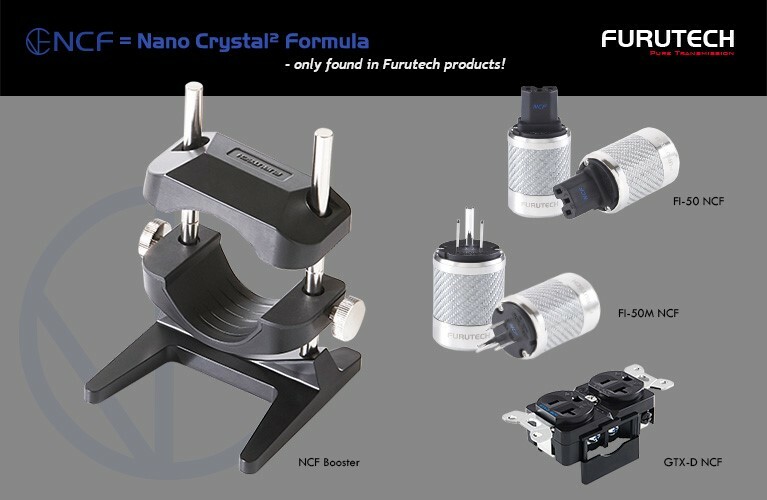 The aluminum case, power meter, transformers, capacitors, and circuit boards are all designed in-house, but are manufactured off-site by North American suppliers. 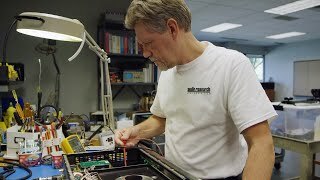 Outsourced electronics are measured and tested before and after assembly. With their tubes and cages in place, the Reference 160Ms were a snap to install in my system. I simply swapped the Kimber Kable Select KS-1116 interconnects and KS-6063 speaker cables from my reference Simaudio Moon Evolution W-7M monoblocks to the ARCs, plugged each amp into a dedicated 15A wall outlet with one of the Clarus Crimson power cords and adapters, and was ready to go. I left in place my PS Audio DirectStream DAC, Simaudio Moon Evolution P-8 preamp, Torus AVR-20 power conditioner, and the remaining Kimber Select interconnects and Clarus Crimson power cords. Via a Clarus Crimson USB link, I streamed music to the PS Audio from an Intel NUC used as a dedicated Roon Core. Audio Research suggests that the Reference 160M will sound its best only after some 200 hours of use. I agree. On first connection, the pair of them sounded very pleasing to my ears, but with a hint of brightness. That dissolved after about 20 hours. About 60 hours after that, I began noticing a marked improvement in soundstage dimension, which was already on a par with that of my Simaudio Moon Evolution W-7Ms. And by 100 hours, the 160Ms were really beginning to bloom -- I was starting to hear a silky-smooth sonic persona emerge, akin to waiting for the tannins of a fine wine to subside as it breathes. Soundstages continued their incremental growth, and the bass continued to improve up until about 180 hours, by which point most of the initial flab had tautened up. The 160Ms’ improvements in the resolution of microlevel details and the projection of vast soundstages continued well past 200 hours, so just to be safe, I waited until I’d used them for 300 hours before doing any critical listening. Throughout those 300 hours I experimented with all three output taps, and toggled between Ultralinear and Triode modes, to hear which combination sounded best with my 8-ohm Paradigm Persona 7F speakers. I ended up preferring Triode mode, which is how I used them for my observations below -- the sound was slightly smoother with no loss of detail, and the 160Ms’ 8-ohm taps provided the best balance of bass performance. In the Reference 160M’s manual, ARC recommends experimenting with all options before settling on any final connections or settings. I wholeheartedly agree. Connections made and options selected, I looked forward to making the 160Ms’ big, fancy needles bounce. I began with “School,” from Supertramp’s Crime of the Century (16-bit/44.1kHz FLAC, A&M), but wasn’t prepared for how different the ARCs sounded from my reference Simaudio W-7Ms. Soundstages were immense -- some were 25% larger than what my already impressive references produce. Moreover, instruments, particularly Rick Davies’s harmonica in the opening seconds of “School,” had captivating fluidity and solidity. Davies’s voice imaged high and dead center on the stage, just as it would had he been standing on a stage right in front of me, and the impression of continuous space between his voice, Roger Hodgson’s electric guitar, and the children playing in the background was both bigger and more vivid than I’d ever heard in my room. Bob C. Benberg seemed to be shaking his maracas some 15’ back on stage, yet I could easily hear the impacts of individual seeds inside the gourds, with wonderfully long decays that dissipated into inky-“black” silence. That silence, too, was a shocker. The Reference 160Ms were quiet -- really quiet -- even at high volume levels. “School” builds in intensity as it builds in tempo, and as that tempo accelerated I at first cringed, wondering if Dougie Thomson’s bass and Benberg’s drums would be maintained. The Reference 160Ms handled this track’s dynamics with aplomb, with excellent slam and control of transients in Benberg’s drums, while Thomson’s bass, if slightly burly, also punched with unexpected slam. I listened to this track on repeat -- I rarely experience an amplifier that reminds me what classic rock sounded like when I was a kid. The Reference 160Ms evoked that primal emotional connection. As “School” played over and over, I figured out why. First, regardless of listening level, the Reference 160Ms never sounded aggressive, or lean, or as if they were struggling to keep up. Second, the 160Ms proved anything but shrinking violets with respect to dynamic ability: Benberg’s drums punched out their positions in stone at center stage, sounding clean, fast, and impactful, while Hodgson’s piano, anchored off to the right, had a focus and drive that communicated just the right amount of pitch precision, body, and tonal color with each press of keys. Third, the Reference 160Ms controlled transients in a unique way. At first I didn’t notice it, but in back-to-back comparisons with my Simaudio W-7Ms, I could hear a wisp of echo or resonance applied to voices, instruments, bass notes, or whatever else these amps sent to my speakers, regardless of the recording or the volume level. Repeated listening showed that this slight resonance had been applied to each instrument individually, not globally to the entire mix, and it remained consistent in decay regardless of what it was applied to or the music’s tempo. While this slightly diminished its control of transients, and translated into somewhat looser, less controlled-sounding bass notes, I could tell that control wasn’t the culprit. The upside was that each instrument or voice was imbued with a sense of nuance, which in turn made the music sound more alive and alluring. This leads right into the fourth reason I found the Reference 160Ms so charming: they were incredibly transparent, conveying intricate, microlevel details -- such as those seeds in Benberg’s maracas. There was also a complete absence of artificial warmth, and the fluidity with which music flowed was perfectly balanced, exhibiting ease and refinement rather than the syrupy consistency produced by many tubed amplifiers. Finally, there was the bass: The Reference 160Ms absolutely thumped. Thomson’s plucked bass notes sounded rich, dripping with body and weight -- slightly warmer than I’m accustomed to, but not muddy in any way. I pressed on, listening to various artists, musical genres, and test tracks. I quickly realized that while the Reference 160M sounded really good with all types of music, it unequivocally nailed classic rock. I think this was due in large part to its overall tonal balance: invitingly warm with no loss of detail, dynamic, vastly spacious, and impactful. Listening to “Gold Dust Woman,” from Fleetwood Mac’s Rumours (24/96 FLAC, Warner Bros.), gave me goose bumps -- I was enamored of how well Stevie Nicks’s voice was vividly imaged up front and center against Mick Fleetwood’s drums, just off to the left. But what hooked me was Lindsey Buckingham’s acoustic guitar -- the juxtaposition of crisp, cleanly plucked strings against body, and the warmth, air, and natural decay, all captivated me and didn’t let go. Toward the end of the track, as Fleetwood hits his skins with a bit more pressure, I could hear and feel the change almost as clearly as if I’d been listening to my solid-state references, the Simaudio Moon Evolution W-7M monos -- about as high a compliment as I can pay any pair of tube amps. After listening to all of Rumours, I hunted up other genres. I found myself listening to Kacey Musgraves’s Golden Hour (16/44.1 FLAC, MCA Nashville), a country album I’ve lately come to love. In “Space Cowboy” I could easily hear the slight resonance of Musgraves’s voice, proving once again how transparent an amplifier the Reference 160M is. Again drawn into listening to the entire album, I noticed that Daniel Tashian’s bass was slightly bloated -- while presented with the appropriate force and volume, notes sounded slightly homogenized. I noticed this also in Musgraves’s “Butterflies” -- and heard much the same in “East of the Sun (And West of the Moon),” from Diana Krall’s Live in Paris (24/96 FLAC, Universal). John Clayton’s double bass sounded almost boomy as I struggled to hear any kind of individual string plucks. 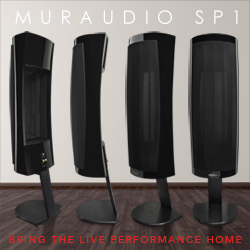 It’s unfortunate that I didn’t have on hand another pair of tubed monoblocks priced in the low to middle five figures, to directly compare with the Reference 160Ms. But if my time with the ARCs taught me anything, it was that they can hold their own against any similarly priced amplifier, tubed or solid-state. The only other amps I had on hand were my solid-state Simaudio W-7M monoblocks ($25,000/pair, discontinued), so here are a few things to consider: The W-7M is specified to output 500W into 8 ohms, has a damping factor of 1600, and provides 33dB of gain. The Reference 160M is specced to output up to 140W into 4, 8, or 16 ohms in Ultralinear mode, but only 70W in Triode mode, which was how I mostly used them; it has a damping factor of 14 and total gain of 25.5dB. Before running these comparisons, I matched the amps’ sound-pressure levels using a RadioShack SPL meter. These two -- er, four -- amps sounded different enough that I didn’t need to obsess over minutiae. The Simaudios reproduced music with greater accuracy but weren’t necessarily more enjoyable. They excelled at showcasing transient control, speed, and image focus, and at giving me an overall sense of endless power with whatever recording I played. Bass, be it electronic or from bowed or plucked strings, consistently sounded more measured, forceful, controlled, and textured. The Reference 160Ms, on the other hand, made music sound and feel more real by reproducing it with a greater sense of space; higher levels of tonal color; richer, weightier, more dimensional images; and more inner details presented on more natural-sounding soundstages. It’s ironic that the less-accurate-sounding amps actually sounded more appealingly real overall, but that’s what happened during these comparisons, track after track. It was like comparing a BMW 7 series with a Maserati Quattroporte: both were exhilarating rides, for very different reasons. In the end . . .
During my time with the Reference 160Ms, I was constantly reminded of the lengths to which Audio Research has gone to make such giant leaps forward in build quality, sound quality, ergonomics, and visual appearance. The Reference 160M’s build quality is exceptional, and despite some minor niggles, its ergonomics aren’t far off either. 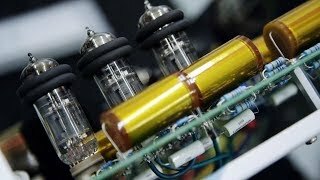 This amplifier is also drop-dead gorgeous to look at, and the etched, dimmable meters are the most innovative implementation of a wattmeter I’ve ever seen. I found the Reference 160M captivatingly enjoyable to listen to, despite a slight roundness and lack of texture in the bass. Even so, Audio Research has knocked this one out of the park. If you’re in the market for a pair of reference-quality tube monoblocks, you owe it to yourself to audition these -- they might just charm their way home with you. Highly recommended! Price: $30,000 USD per pair. Warranty: Three years parts and labor; 90 days, tubes.